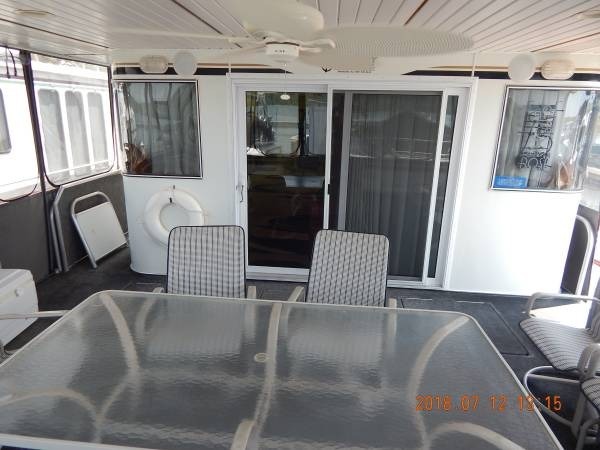 Check out this 3 bedroom, 2 bath 2003 19x90 Fantasy Houseboat located at Ugly John’s Rocky Branch Marina. 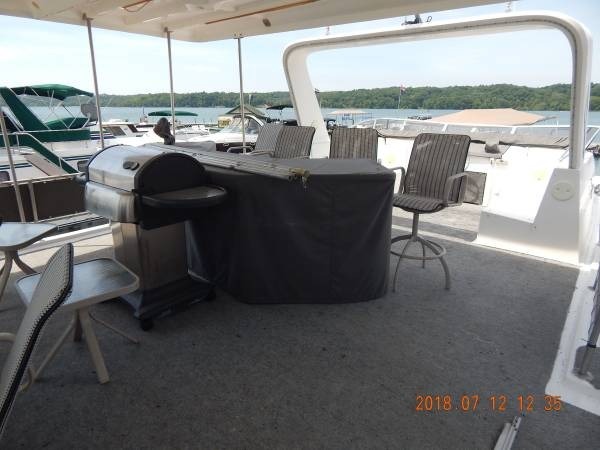 This boat just completed an updating which included new wood and carpet flooring, new stainless appliances in the kitchen, a full LED light conversion, updated interior decorations, new gel coat on the top deck, and much more! 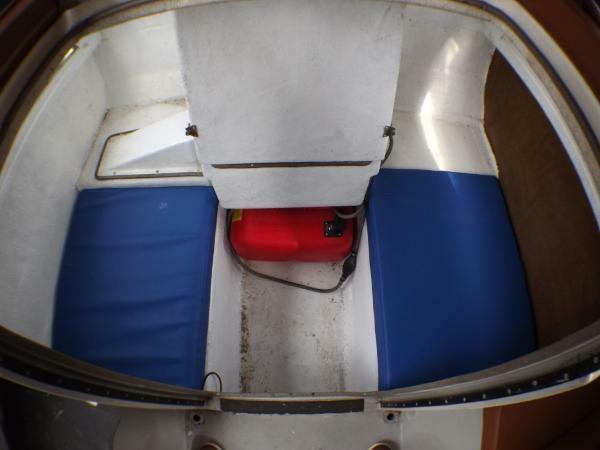 The engines and generator all have less than 20 hours on them, and there is a whole boat inverter system with new batteries. This boat comes completed with a water slide off the top deck and an extra-large hydraulic swim platform. Plus there is a large top deck area that has a hard top and bar area, and all new canvas! 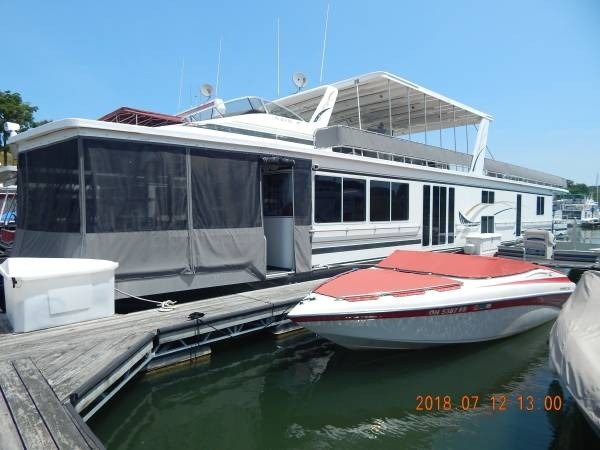 This is a must have for families who want to take their lake life to the next level, and beyond. Specifications: Year: 1970s LOA: 20' Beam: 6' 10" Draft: 2' Construction: GRP Hull / Keel: Planing HIN: N/A Description: "Fantasy 20 that has been considerably refurbished inside & out. 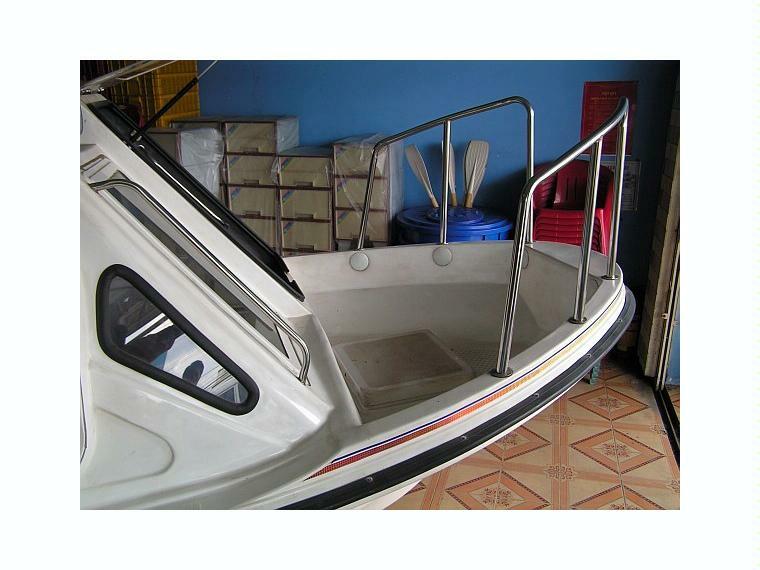 It has a 4-stroke Honda 15hp outboard with a key start/stop so nice & easy to operate, starts first time every time. Been rewired, 2 new 85AH batteries. New internal cushion covers, new rev counter, 2 burner stove with grill & oven, gas has all been refitted & a gas safety certificate issued. New steering cable, throttle & gear change cables are also new. New porta potty. all the cups, bowls plates, glasses, knives forks & spoons all new. Also pans & kettle all new. Solar anel to keep the batteries in tip top shape. All the timbers on the sun deck have been replaced as can be seen from the picture & the original covers are still in good condition. The canopy is new but kept the old side screens as they were OK. I have recently replaced the windscreens with new Perspex & its made a world of difference to the looks & for visibility. 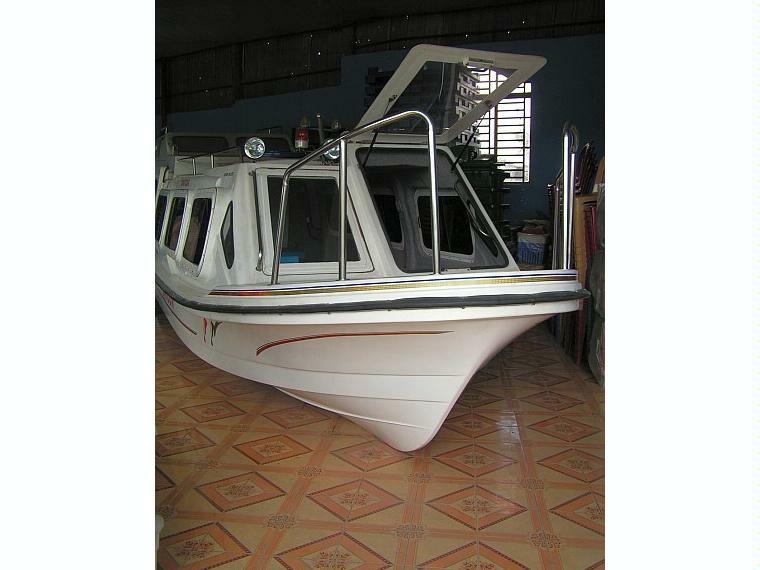 This will make someone a very nice little weekend boat & is ideal for its purpose." Engine(s) & Electrical: Honda 15hp, 4-stroke. Serial number: 1200114. Fuel capacity: 25 litres. Twin batteries charged from the engine. Solar panels. 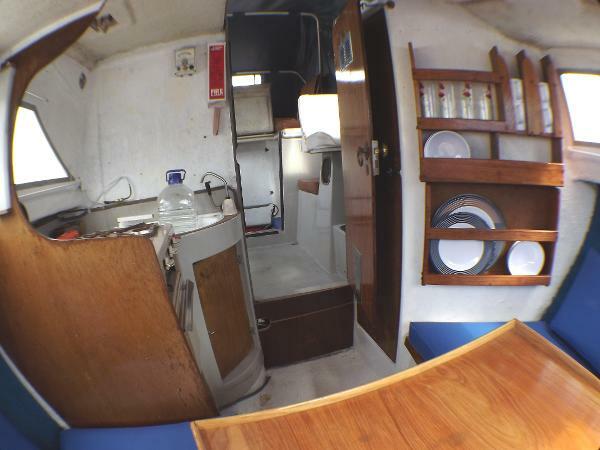 Accommodation & Below Deck: 2 cabins, 4 berths, standing headroom, vinyl upholstery (new), chemical toilet (new), saloon table, wash basin, gas cooker, galley sink, pumped cold water system, 90 litre water capacity. 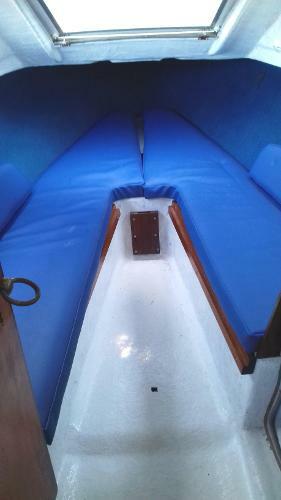 Deck & Canvas: Windscreen wiper, anchor & chain, pulpit, forehatch, warps, fenders, boathook, cockpit lockers, cockpit cover, cockpit cushions. 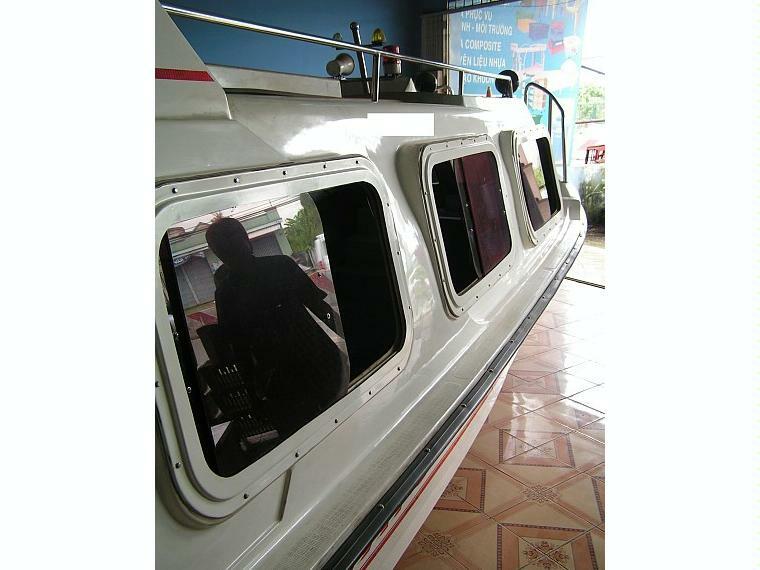 Navigation & Safety: Navigation lights, fire blanket, gas safety certificate, gas detector. Miscellaneous: Viewings are by appointment only. For an instant insurance quote call Euromarine Insurance Services on 01843 603345 Disclaimer: The particulars detailed herein are intended to give a fair description of the vessel, but their accuracy cannot be guaranteed. 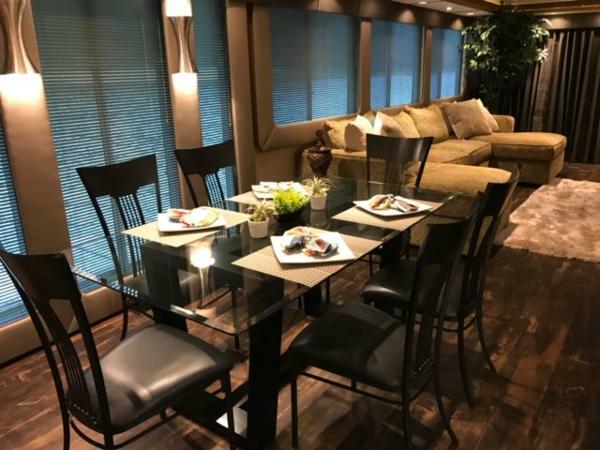 These particulars are supplied on the understanding that all negotiations shall be through Highway Marine Ltd who are acting as brokers for the vendor. The vendor is not selling in the course of a business unless otherwise stated. The prospective purchaser is strongly recommended to check the particulars, and where appropriate, at his own expense, to employ qualified independent agents to carry out a survey, and/or any mechanical and electrical checks. Fantasy Coastal 85' X 22' "Diesel"